will lead to your character's soul." The Art of Character is destined to become the one desktop reference every writer requires on the craft of characterization. The Art of Character delves deeply and thoughtfully into the human heart of characterization, showing students and readers how to plumb the rich source material in their own lives and the world around them to fashion credible, compelling characters. No book on character has ever addressed this material as profoundly, extensively or pragmatically. Most importantly, unlike mere craft manuals and how-to books, The Art of Character is elegantly written: a thoughtful, literate gem. It is a gratifying and illuminating—a delight to read—and will not just instruct but inspire. "I have finished The Art of Character, and will no doubt read it several times more. Couldn't put it down. I love learning more about my craft, and this was a treat. I'm sure my next two books, currently in the planning stage, will be far richer for it. Full of ideas. It was not only educational, it was full of wisdom for life." "David Corbett has written a wise, inspiring love letter to all the imaginary creatures inside our minds.... I predict that massively underscored copies of The Art of Character will rest close at hand on writers' desks for many years to come." "Indispensable. Few are the writer's guides that are written as beautifully, cogently, and intelligently as a well-wrought novel. This is one of those books." "Corbett's The Art of Character is no "how to" book or "writing by numbers" manual. It is an artful testament to the writers' credo—that a story is only as affecting and meaningful as the characters who tell it—that writing, essentially, is character. 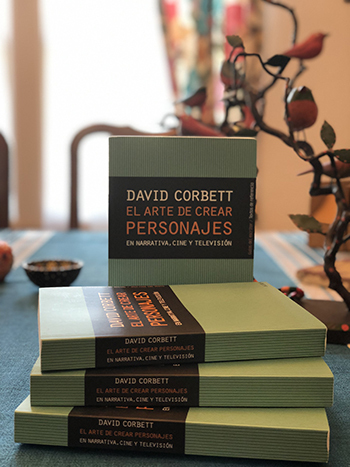 Corbett writes with the grace and authority of a seasoned professional, but offers much more than the usual inventory of method and strategy. With clarity and compassion, he gets to the very thing that lies deep within us, that longing we share to discover that one distinct and authentic voice. The Art of Character is itself a work of art, an indispensible resource for writers of any genre, and a pedagogical tool for teachers of writing at any level." "This fine book is about as thorough an examination of character and what it means in all sorts of imaginative writing as you're likely to find anywhere. This is an exploration of the phenomenon of character—in as wide a variety of fiction and drama as there is. It will help any writer create and sustain human beings who make you forget you're reading, who are alive, who are worthy of our attention and sympathy." 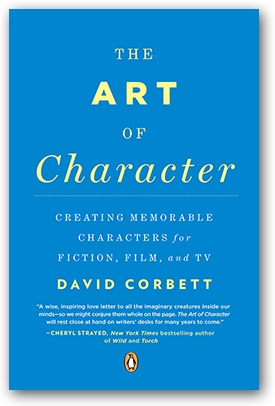 "David Corbett, himself a master crafter of riveting and remarkable narratives, delivers up in this highly readable guide, a smorgasbord of smart examples of memorable characters from literature and popular culture, to create an addictive and helpful primer on this most central of narrative ingredients. Clear-headed and confident, Corbett takes us through the steps in a manner that resists formula while at the same time demystifying a process that has likely daunted every writer since Homer." "This collection of touching, honest, outrageous and outraged essays challenges all of us to explore our own personal truths. 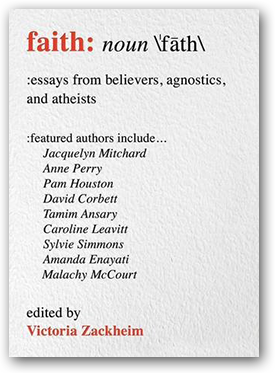 As we read, even those of us who are 'non-believers' are drawn into conversation with our better selves. That is the gift of this book."